Netflix first announced the Duffers' series as Montauk, a paranormal drama set in the title Long Island town. This was a reference to one of Stranger Things' real-life inspirations: the Camp Hero experiments, conducted from the 1960s to the 1980s (more on that in a moment). Even in the final stages, the Duffers internally referred to the show as Montauk. It wasn't until the absolute last moment that they settled on Stranger Things. The creative staff made a list of alternate 1980s titles before settling on Stranger Things, and that list is still in existence. Unfortunately, Matt Duffer thinks they're terrible, so we'll never see them: "I hope this never, ever comes out on the internet -- the list of alternate titles for the show. I was like: if you leak this, I will kill you. It is so embarrassing." In early drafts of the Stranger Things pilot, Eleven used her telekinetic powers to escape the facility. Instead, the Duffer brothers decided to tease out how powerful Eleven actually was and left the escape from the facility to the viewer's imagination. The experiments at Camp Hero apparently came to an end in 1983 when one of the subjects, Duncan Cameron, created a Bigfoot-like monster using his psychic powers. The monster led to the end of the experiments at Camp Hero and the below-ground research site was filled with cement. People working behind the scenes dubbed the Upside Down monster "Petals" because of the way its head flaps open like a flower bud. Petals was partially a practical animatronic effect, and was introduced to the younger cast members as a monster from Pixar's Monsters, Inc. so they wouldn't be afraid of it. 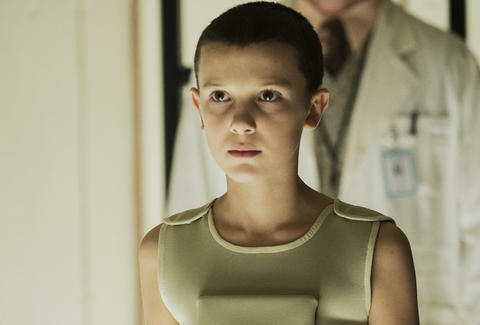 When the Stranger Things duo pitched the idea of a near-bald look for Eleven, actress Millie Bobby Brown and her parents were terrified. A magazine photo of Charlize Theron in Mad Max eventually convinced her it was "badass" idea. The Duffer brothers have a 30-page document about "the Upside Down," and we didn't even get hints at everything that's in it. According to Ross Duffer, "If there was going to be a Season 2, we would reveal more of that 30-page document, but we'd still want to keep it from the point of view of our original characters." Living in the Upside Down for a week is going to have long-lasting negative effects on Will. 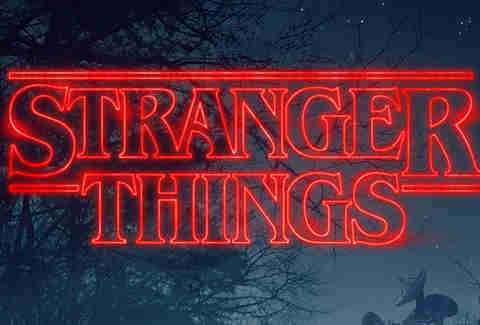 At the end of the first season we can see Will inadvertently flash into the Upside Down, but humans from "our side" were never meant to live in the Upside Down for an extended period of time. "That's a place we wanted to go and potentially explore in Season 2. What effect does living in there for a week have on him?" Stranger Things' oldest pop-cultural reference. Stranger Things is wall-to-wall '80s nostalgia, but internet detectives swear this bit of Eleven's story is a classic literary allusion. The "AfterBuzz" network, which does wrap-up and recap programming for other popular television shows, was conscripted by Netflix to produce Stranger Things after shows for your binge. Although, who stops binging Stranger Things to react with internet strangers? Well, it's an option. According to Ross Duffer, the internet's fascination with the geeky teen girl started in the Stranger Things offices. 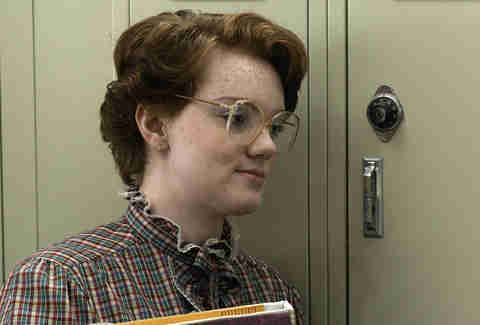 "We were always talking about Barb and 'what about Barb' and 'poor Barb' -- we talked about it in the writers room almost every day. So it's great to see that people responded in that way. It's so weird that people are using the phrases that we used in the room like a year ago. I think part of it is that usually in these horror movies, it's these very popular girls who take their tops off who get taken. And so there's something particularly tragic about the loner character getting snatched and not making it out of the Upside Down." The Duffers loved Barb, but still weren't prepared for her popularity. They've promised that next season, we will learn how the town comes to grips with her death (which was, early on, going to be super gory). "We'll make sure there's some justice for Barb," said Matt Duffer. 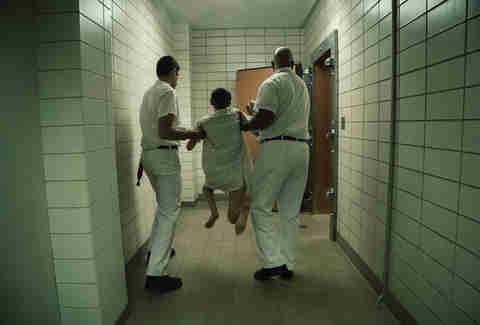 "People get very frustrated, understandably, that the town doesn't seem to be really dealing with Barb. That stuff is all happening. We're just not spending any screen time on it." First-time actress Shannon Purser had to quit her job working at a Georgia movie theater recently because people were coming to gawk. While she loved the attention and friendly fans, the invasion ended up being a little inappropriate for theater employment. Someone hire Barb, please! Speaking of the actors, Gaten Matarazzo, who plays Dustin, has appeared on Broadway with productions of Priscilla Queen of the Desert and Les Misérables. Hanging out with Gaten on set, Millie Bobby Brown was already an amateur vocalist. The child actors bonded on set by singing and harmonizing between takes. Dave Gonzales is a pop-culture writer who owns all the Pokémon Go gyms in the Upside Down. Follow him @Da7e.